The information presented on this page was originally released on December 15, 2014. It may not be outdated, but please search our site for more current information. If you plan to quote or reference this information in a publication, please check with the Extension specialist or author before proceeding. 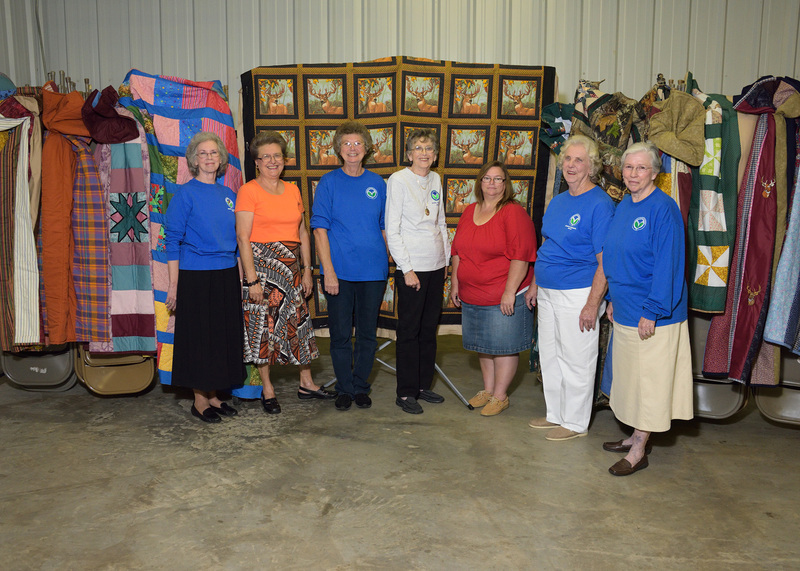 Members of the Mississippi Homemaker Volunteers spent months piecing together fabric in anticipation of the annual Hot Coffee Hunts for Heroes welcome dinner on Dec. 12. 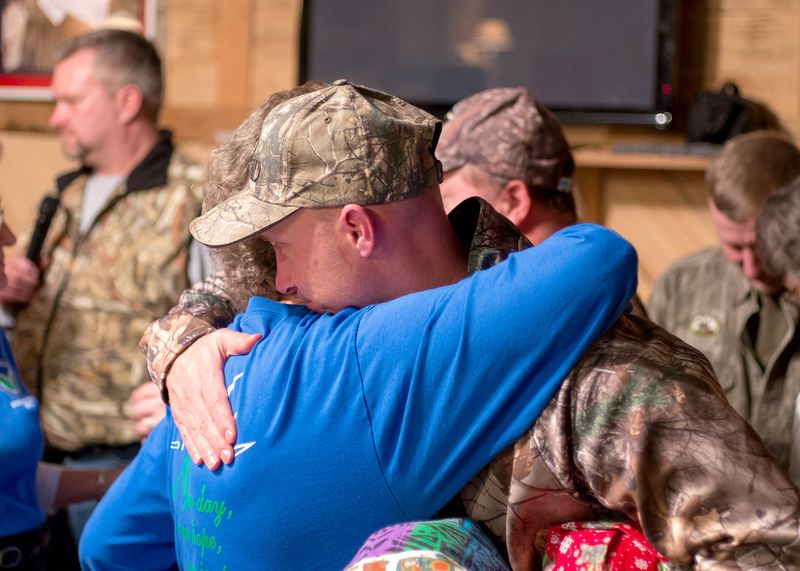 The meal, which included a fish fry with all the trimmings, brought together community members and military heroes from across America for a night of fellowship as part of a weekend deer hunt. 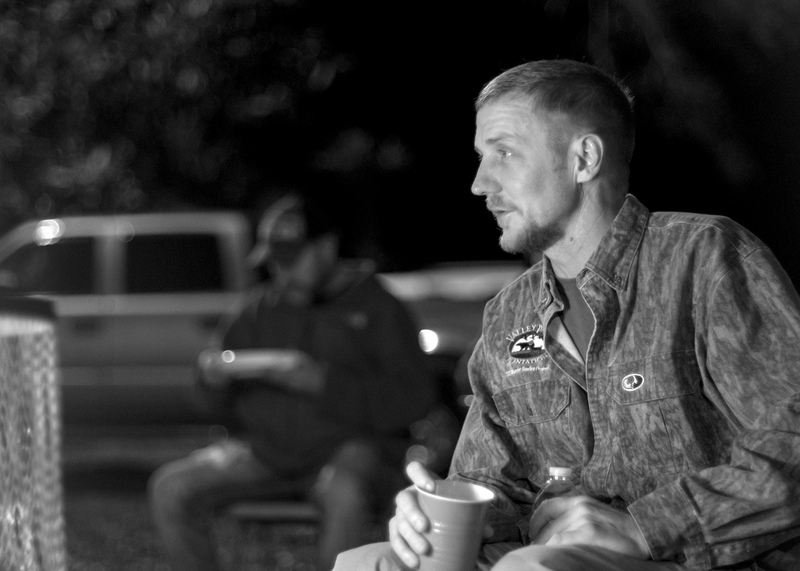 Troy and Beverly Davis hosted the event at their property, Heaven in the Woods. The ladies pooled their fabric and shared ideas for patterns. Most of quilts are throw blankets and double-bed size. Doris Sullivan is a 16-year member of the Mississippi Homemaker Volunteers, an organization sponsored by the Mississippi State University Extension Service. Sullivan made seven quilts in three months for the wounded warriors. Damian Orslene of Pensacola, Florida, has participated in the Hot Coffee Hunts for Heroes since 2010. Orslene is a medically retired Chief Master Sergeant who served 28 years in the U.S. Air Force. He suffered extensive injuries during an explosion, including traumatic brain injuries. But the weekend is not about the quilts or other gifts received, or even the hunt itself, Orslene said. Orslene said that every day, 17 wounded veterans kill themselves -- and he knows why. Orslene is now in training full time as a para-Olympic athlete preparing to compete in discus, shot put and javelin the 2016 games in Rio de Janeiro, but he still takes these trips to Mississippi for what he calls a family reunion. When he addressed the crowd of community supporters, he explained the importance of this event.